Kedarnath, Uttarakhand (India) is famous because of Kedarnath Temple. Kedarnath temple is one of the twelve jyotirlinga of lord shiva. It is located at an height of 3,583 meter from sea level. Temple is established by Adi Shankaracharya in the 8th century temple near the Mandakini river flows. The temple is located next to an old temple , which was built Pandav’s . You can see various images of Hindu deities on the internal walls of the prayer hall. 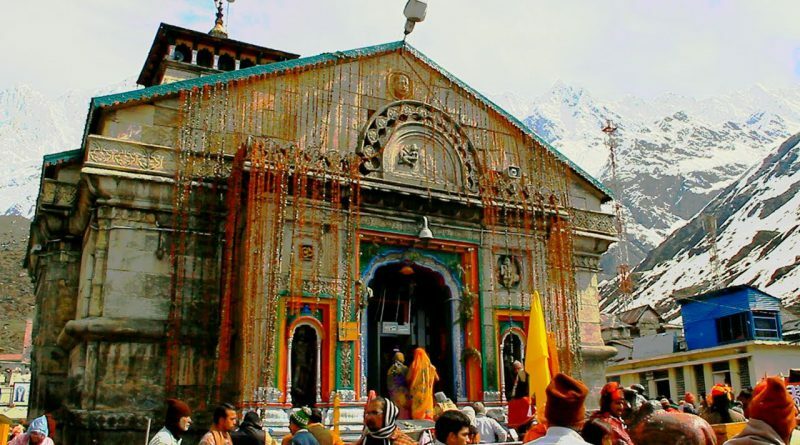 Kedarnath Temple is open From April to November for six months in a year. Dates may be changed according to the Shiva Ratri and decided by priests in Ukhimath. Earlier the Kedarnath temple was built by Pandavas. But Present temple was built by Adi Shankaracharya. You can see samadhi of Adi Shankaracharya Behind the temple. Nara-Narayan went to Badrika village for the worship of Parthiva. Lord Shiva appeared in front of Nara-Narayan. He wished to Lord Shiva to remain there in his original form for the welfare of the humanity. Lord Mahesha himself stayed there as a Jyoti. He is known as Kedareshwara.